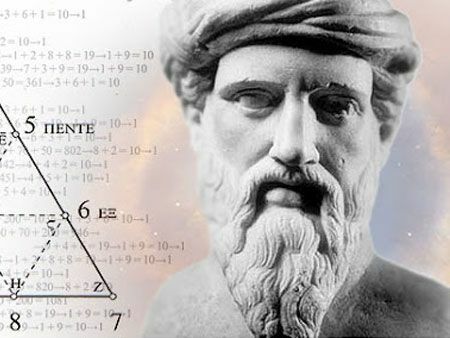 Pythagoras of Samos is one of the most famous names in the history of mathematics and is recognized as the first true mathematician. Most of the information we have today on this legendary mathematician were compiled centuries after he lived and thus many are considered to be unreliable. His early biographies are written by authors who wanted to present him as some supernatural or god like figure. It is said that before the birth of Pythagoras, it was prophesized that his pregnant mother would give birth to a man supremely beautiful, wise, and beneficial to humankind. Pythagoras is most famous for his concept of geometry. It is believed that he was first to establish that the sum of the angles of a triangle is equal to two right angles and that for a right-angled triangle the square on the hypotenuse is equal to the sum of the squares on the other two sides. Although the last mentioned theorem was already discovered by the Babylonians, Pythagoras was first to prove it. It is also believed that he devised the tetractys, the triangular figure of four rows which add up to ten, which according him, was the perfect number. He was born on the Greek Island – Samos in the eastern Aegean. His birth date is estimated to be somewhere in 570 BC. His father Mnesarchus was a merchant and travelled a lot for business, Pythagoras also accompanied his father in various expeditions. When Pythagoras was 18, he visited Miletus- an ancient Greek city on the western coast of Anatolia; where he met Thales– the first know Greek philosopher and scientist. By that time Thales was very old and is not believed to have taught Pythagoras a great deal. However, it was this meeting which triggered his interest in the science of mathematics and astronomy. Thales advised him to travel to Egypt and explore these avenues. Pythagoras is believed to have had strong desire to learn and for this he had undertaken extensive travels. He was taught by wide range of teachers and philosophers. He spent years in Egypt in search of all available knowledge and received wisdom from an Egyptian priest Oenuphis of Heliopolis. Pythagoras was married to Theano, his first pupil at Croton. She was also a philosopher in her own right. She wrote a treatise called ‘On Virtue’ and the doctrine of the golden mean was included in it. However, some say that she was not his wife, but a disciple. According to various accounts, the couple had a son named Telauges, and three daughters named Damo, Arignote, and Myia. Some sources also put the number to seven. Their second daughter Arignote was a known scholar and works like ‘The Rites of Dionysus’, ‘Sacred Discourses’ have been credited to her. Their third daughter Myia is said to have married the famous wrestler, Milo of Croton. It is further stated that Milo was an associate of Pythagoras and saved his life from a roof collapse. Like most geniuses, Pythagoras too was very outspoken and created many enemies. One of them instigated the mob against the Pythagoreans and set fire to the building where they were staying. However, Pythagoras was able to escape. He then went to Metapontum and starved himself to death. Pythagoras was also called Pythagoras of Samos or Pythagoras the Samian. Pythagoras was born on an island called Samos. When he was young, he engaged in many different travels, including Egypt and other locations that piqued his interest in gaining more knowledge. 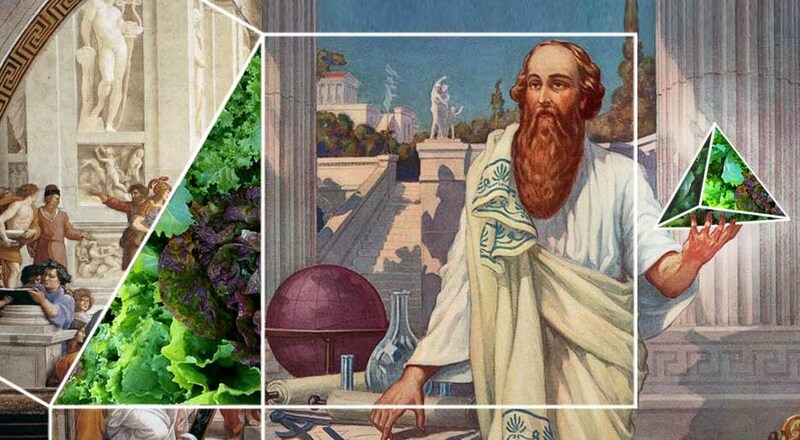 When Pythagoras moved to Croton in about 530 BC, he set up his religious sect in the Greek colony located in southern Italy. He attracted followers that embraced his religious rites and practices. They spent time studying his philosophical theories as well. There is a written account that states Pythagoras took a lady of Croton named Theano as his wife. They produced four children Ã¢â‚¬â€œ a son named Telauges, and three daughters Ã¢â‚¬â€œ Damo, Arignote, and Myia. Unfortunately, texts written by Pythagoras are not known to have survived the ancient past. Over the years, forgeries bearing his name have surfaced. Ancient thinkers, such as Aristotle question whether these works were authentic. Pythagoras is responsible for creating the Pythagorean theorem:, which states that the sum of the areas of two squares on the legs (called a and b) equals the area of the square on the hypotenuse (c). Pythagoras is credited with establishing the tetractys Ã¢â‚¬â€œ the triangular figure of four rows, which add up to the perfect number of ten. In mystical circles, the symbol was significant to the Pythagoreans method of worship. They would swear their oaths by the symbols. Pythagoras believed that religion and science were interconnected. He was a believer of metempsychosis, where he sided with transmigration Ã¢â‚¬â€œ meaning the reincarnation of the soul that takes place in the bodies of humans, animals, or vegetables in a repetitive process until the soul become immortal. These ideas would influence the way ancient Greeks viewed religion. Great philosopher Plato was greatly influenced by Pythagoras and the Pythagoreans.